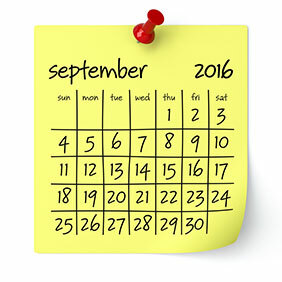 September is Healthy Aging® Month and the time to get started on better health practices. Think it’s too late to “re-invent” yourself? Think again. According to Carolyn Worthington, editor-in-chief of Healthy Aging® Magazine and executive director of Healthy Aging®, it’s never too late to find a new career, a new sport, passion or hobby. And, now is the time to travel more than ever. Worthington is the creator of September is Healthy Aging® Month, an annual health observance designed to focus national attention on the positive aspects of growing older. Now in its second decade, Worthington says September is Healthy Aging® Month provides inspiration and practical ideas for adults, ages 45-plus, to improve their physical, mental, social and financial well-being. The numbers of people over 45 is growing every year. The attention used to be just on the baby boomers. The generation x-ers are elbowing their way in and have many of the same interests as the previous generation – stay active and vibrant as long as possible. There are over 76 million baby boomers today over 50 and the first of the 82.1 million generation x-ers reached that milestone in 2015. September is a perfect time to celebrate Healthy Aging Month since it is time when many people think about getting started on new tasks after the summer. Drawing on the “back to school” urge embedded in everyone from childhood, the observance month’s activities are designed to encourage people to rejuvenate and get going on positive measures that can impact the areas of physical, social, financial and mental wellness. September is Healthy Aging® Month was first introduced when the baby boomers were about to turn 50. “At that time, no one wanted to talk about growing older,” Worthington says. “You know, it was that same ‘60’s attitude – ‘Don’t trust anyone over 30; hell no we won’t go.’ Today as the boomers turn 60 and 65, it’s a different story,” Worthington explains. “We recognized early on that careful attention to the combination of physical, social, mental and financial fitness was powerful in the pursuit of a positive lifestyle and have built our Healthy Aging® programs around that concept for the government and private sector through this annual observance as well as TV specials, videos, books, printed material, our website and blogs. To get you started on re-inventing yourself, here are some ideas from the editors of Healthy Aging® Magazine (www.healthyaging.net). Maybe you will find some that will help you think outside the box. Be pos­i­tive in your con­ver­sa­tions and your actions every day. When you catch your­self com­plain­ing, check your­self right there and change the con­ver­sa­tion to some­thing pos­i­tive. (Tip: Stop watch­ing the police reports on the local news). Make this month the time to set up your annual phys­i­cal and other health screen­ings. Go to the appoint­ments and then, hope­fully, you can stop wor­ry­ing about ail­ments for a while. Healthy Aging Month® Tip of the Day Healthy Aging Month: Physical, Social, Mental Tips Healthy Aging Month Tips: Oral Health It’s National Coffee Day! Do You Know What Health Screenings You Should Do?